Basic custom imprint setup & PDF proof included! 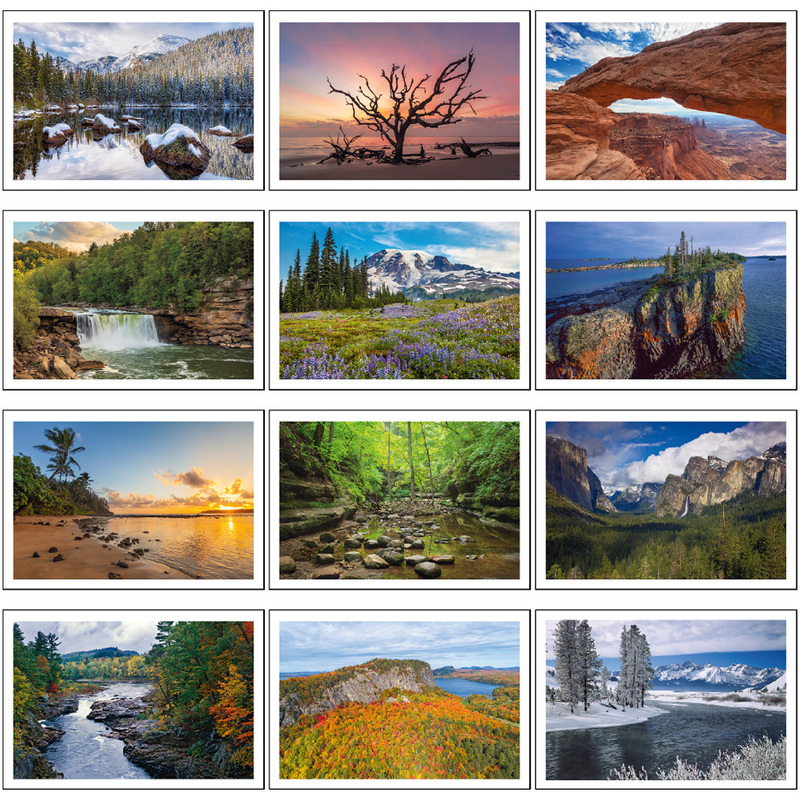 This executive scenic appointment calendar showcases America's beauty from coast to coast with photos of iconic locations. 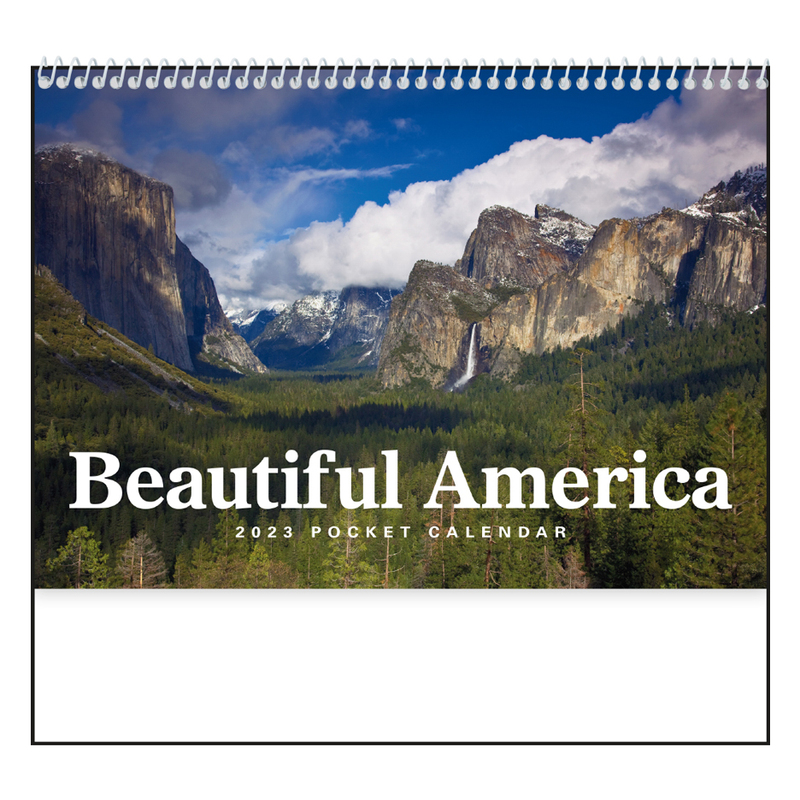 The look and feel of this superbly designed, oversized scenic calendar will impress any viewer. 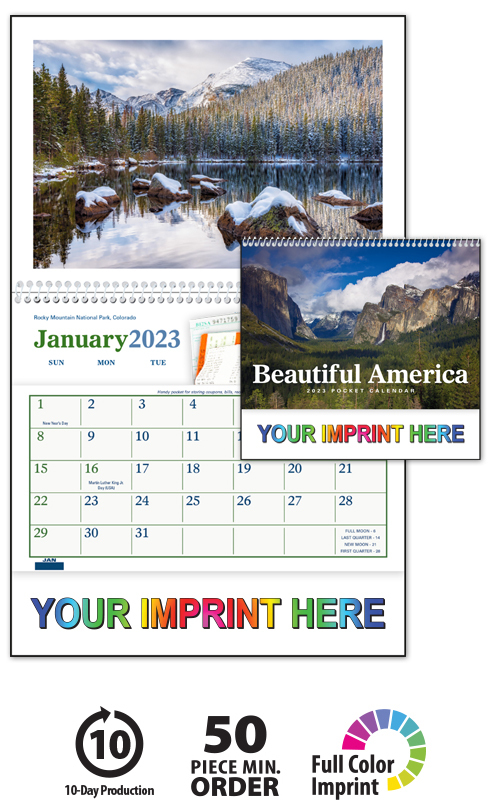 Includes a large centrally placed imprint on every month and spiral binding. 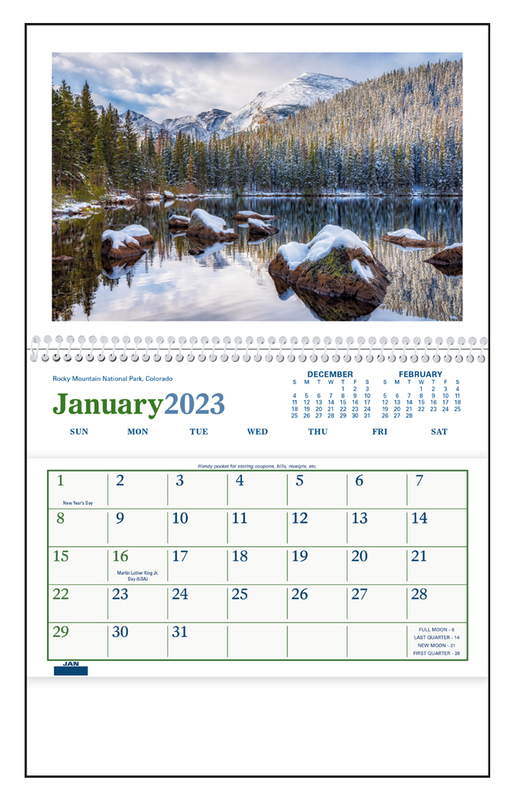 This high-quality executive scenic appointment calendar will proudly display your message for the entire year!